In a big win for voting rights, a federal court overturns the state’s 90-day registration deadline. On March 22, 2017, Jill Boyd Myers moved from Atlanta to Sandy Springs, Georgia, relocating from the Fifth Congressional District to the Sixth. She wanted to vote in the special election to replace Congressman Tom Price, Donald Trump’s secretary for health and human services, but she was unable to because Georgia’s registration deadline of March 20 for both the April 18 open primary and the June 20 runoff between Democrat Jon Ossoff and Republican Karen Handel had already passed. 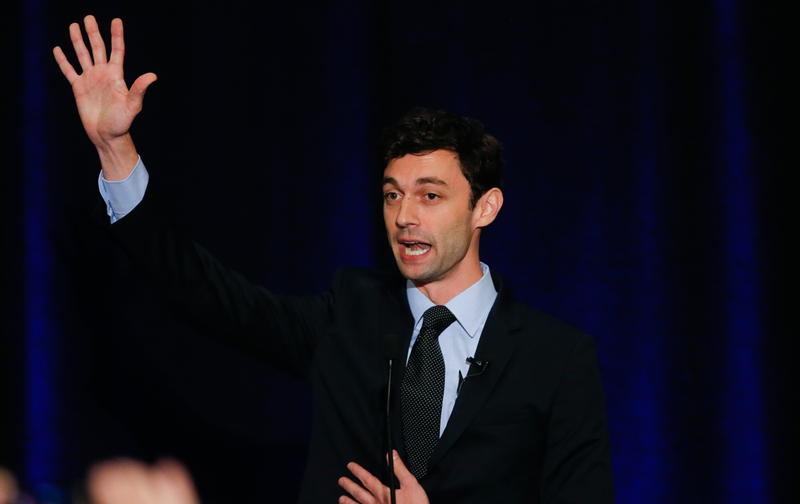 That meant nobody who registered after March 20—90 days before the runoff election—could vote in the hotly contested Ossoff-Handel race. Registration had effectively been frozen in the Sixth Congressional District. But a federal court granted a preliminary injunction yesterday against the state’s 90-day registration cutoff, finding it violates the National Voter Registration Act, which prohibits setting voter-registration deadlines more than 30 days before an election. Civil-rights groups, led by the Lawyers Committee for Civil Rights, filed suit against the law. “If a preliminary injunction is not granted requiring Defendants to process voter-registration applications received after the previous deadline of March 20, numerous voters who would otherwise be eligible to vote in the runoff will be denied that right,” wrote District Court Judge Timothy Batten, a George W. Bush appointee. Now Myers and thousands of others will be able to register until May 21, which could have a big impact in an election that could be decided by the narrowest of margins. “This just felt like a real prohibition of our rights as citizens,” Myers said after the ruling. Voter suppression is not an incidental issue in the special election. As Georgia secretary of state from 2006 to 2009, Karen Handel had a long record of making it harder to vote, supporting Georgia’s strict voter-ID law, trying to purge thousands of eligible voters from the rolls before the 2008 election, and repeatedly challenging the residency of qualified Democratic candidates. Handel has bragged about these issues, saying in a TV ad: “As secretary of state, I fought President Obama to implement photo ID and won,” even though Georgia’s voter-ID law was passed in 2005 and took effect in 2007, well before President Obama assumed office. In fact, the only way the election had been tainted was by eligible voters not being able to participate because of Georgia’s absurd voting rules. If Democrats want to take back the House in 2018, especially in the wake of yesterday’s health-care vote, challenging voter suppression must be a top priority for the party.